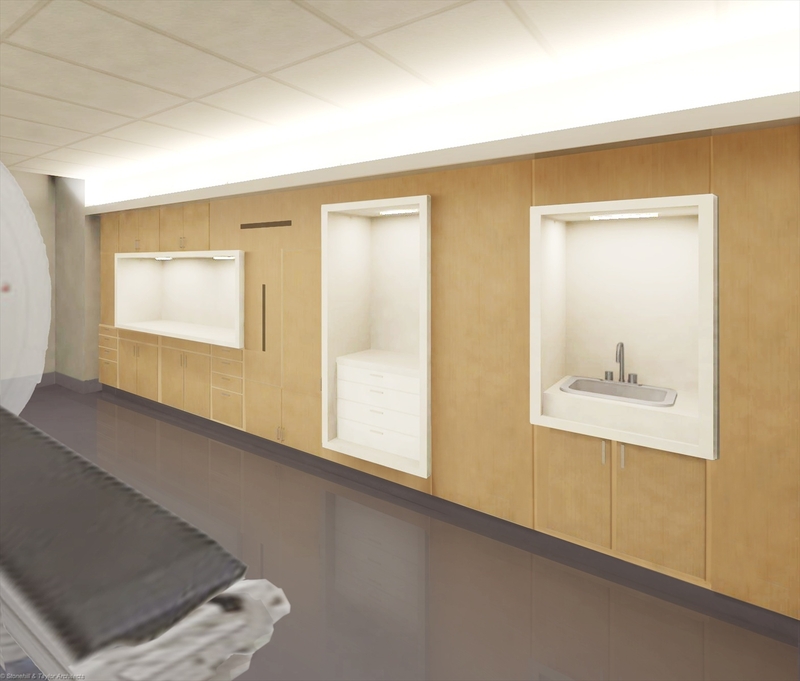 This project re-purposed an existing Linac Vault into a new Tomography unit. The vault was redesigned to create a warm wall of wood casework hiding storage and other functions with composed sculptural cut outs that accommodate counter tops and mold storage. 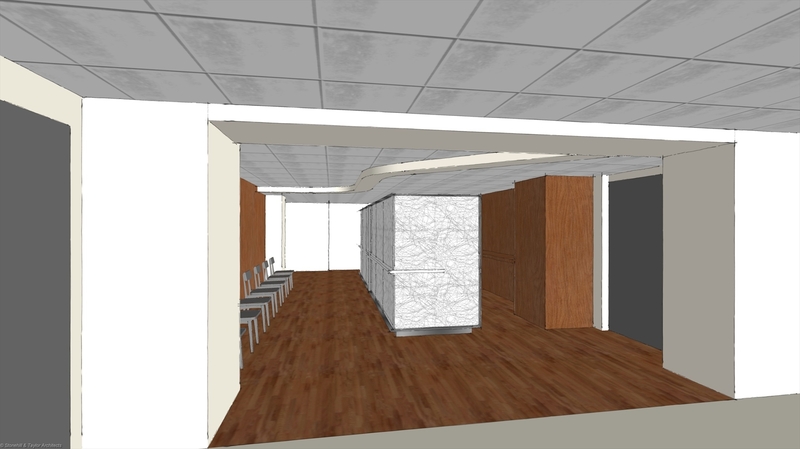 The waiting room was also redesigned to integrate with the enhanced vault experience. Completed by Jon Moss while Vice President at Stonehill & Taylor.